Have you ever felt so many emotions all in one day that when someone asks you “How are you?” you feel confused, unable to answer in a short answer, and need about an hour to actually tell them how you really are doing. I am not a fan of small talk. I enjoy long conversations, including real life stuff, asking questions back and forth over coffee that grows cold half way in to the conversation. I crave this kind of life-sharing! Lately I haven’t had enough of this and I need it. Tell me I am not alone in this! The Engineer and I are at a great place in our marriage, and we are contemplating what is next. If you have been around here for a while, you’ll know we have struggled immensely in our short 3.5 year marriage with infertility, failed adoption, and my diagnosis with MS. And y’all, that stuff is rough. But knowing I have this sweet man by my side and knowing that Jesus has our hearts and know the plans He has for us, well then I can make it through anything. And then, all in one day things can change dramatically. Things you have waited for, wanted, prayed for, cried over, pleaded with God about….they just sort of happen. We have never given up on having our own children. We have always tried, every month that I was allowed to try (MS testing forbid us from trying for about 6 months last year) we would try to have a baby. I even started using essential oils on a daily basis, especially the ones that help support a healthy reproductive system and for energy support. Three and a half years of trying resulted in a positive pregnancy test late in May of this year!! We are over the moon and so thrilled at how things have happened and how God orchestrated it all for us! I am currently about 12 weeks pregnant and definitely beginning to show the baby bump!! 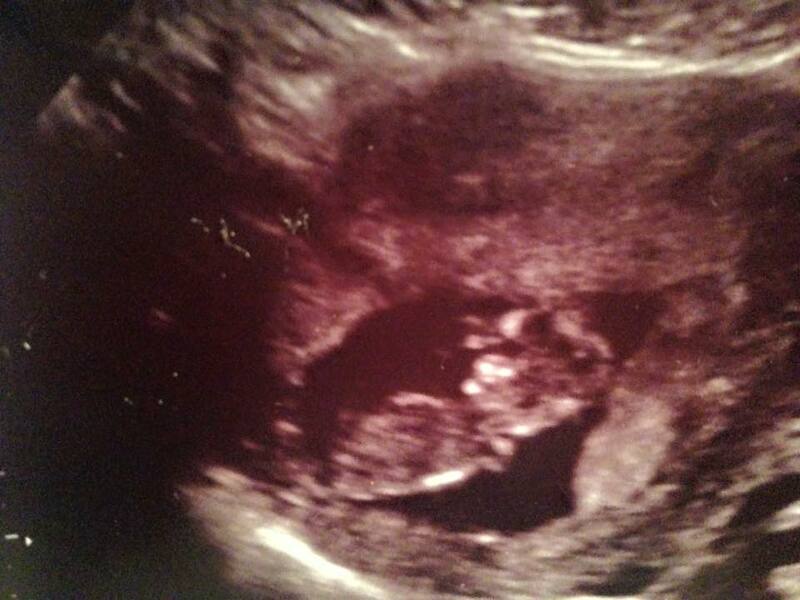 We got to see and hear the baby a week ago and he/she was just flipping and dancing around with a strong heartbeat! It feels surreal and I still have to remind myself every day that I am pregnant and this is really happening (but then I see my reflection in the mirror and there is no doubt in my mind that there is a baby growing in there! HA!). Baby is due to be here, Lord willing, at the end of January 2016! Having MS and being pregnant is actually wonderful. Typically people with MS do not experience many, if any, symptoms while pregnant. My neurologist is pretty sure I will stay in remission through out pregnancy. I have been feeling really good and have not had any issues at all with MS symptoms in the past 8 months! I am so thankful! If we can just bottle this up so I feel this great forever, that’d be awesome!! We will just start praying now for after I give birth that MS will stay in remission! We are really rejoicing in the Lord about this pregnancy and know this baby is HIS! We are so thankful for the many who have prayed for us and with us through the years for a child! We both were made to be parents, and I cannot wait to be parents with my Engineer! We know what infertility feels like and the wait and wait and wait that we had to endure. In my first ultrasound they found a large cyst on my left ovary and a smaller cyst on my right ovary and could fully diagnose me with PCOS from those images. I knew from the symptoms that this was the cause of our infertility, but this confirmed it. We are so blessed that an egg made its way out of one of my ovaries!! Only God can make things like that happen when there are things blocking the path! He always makes a way! He is so good! We are so thankful! I understand Hannah’s heart from the Bible. 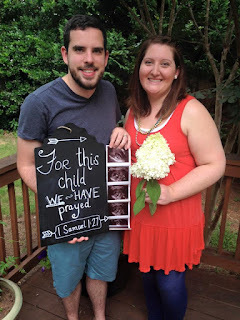 How she wept and prayed for children for years, and then one day everything changed and she was pregnant and had a healthy little boy named Samuel. And she praised God for the blessing of the child. I also identify with Abraham and Sarah who never felt like they would have children, and how she laughed when God told her she would have a child! I have laughed more about this pregnancy and baby than I have cried! I love how God has given us His word in order to identify with people and know He understands our hearts, our pain, as well as our joy.